What is Basil Essential Oil? Basil essential oil has a sweet aroma with hints of licorice and camphor. Basil essential oil has a reputation for being able to relieve headaches and cramps, among other ailments. Basil essential oil is the steam-extracted oil of the Ocimum basilicum, or basil, plant. Two types of basil are distilled to make the essential oil: exotic and European. The aroma of basil essential oil is sweet, with licorice and camphor tones that combine well with other essential oils. Ancient cultures used basil essential oil to treat skin maladies and digestive conditions. Today, this essential oil is used for those conditions as well as in treating migraines and mental fatigue, among others. The two species of basil, exotic and European, are grown specifically for their essential oils. Exotic basil is grown and distilled only on Reunion Island and European basil is grown and distilled in only southern France and the United States. Exotic basil contains camphor and has a more woody scent than European basil. Consequently, aromatherapists use the lighter, more energizing European basil essential oil rather than the exotic variety when treating most conditions. 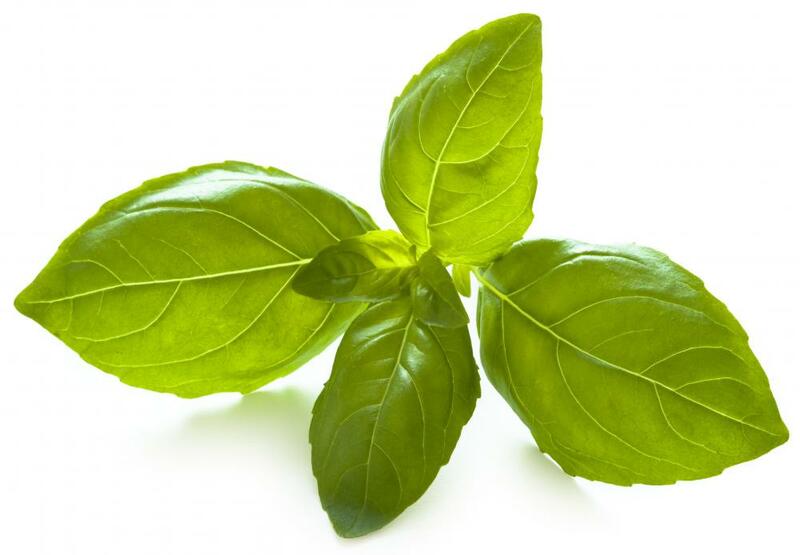 Basil essential oil can cause skin irritations if applied directly to the skin. This is why it should always be combined with a carrier oil, such as jojoba or almond oil, in a ratio of approximately two parts essential oil to 98 parts carrier oil. Once combined, it is safe to massage it into the affected area to relieve muscle aches and tightness. The antiseptic properties of basil make it ideal to use on acne, skin irritations, and slow-healing wounds. When it is combined with other essential oils to treat bronchitis, sinus congestion, colds, or flu, it plays a supportive role for the other oils. The oil of the basil plant may be used to relieve bloating, nausea, belching, and other problems associated with the digestive tract. It is used to treat inflammation of the uterus and ovaries, as well as irregular periods. The basil essential oil is sometimes given to an accident victim to breathe in order to stave off shock. Fear, depression, inability to concentrate, insomnia, and listlessness are other common conditions that may be helped by basil essential oil. This oil has a reputation for being an excellent painkiller, and may be effective in relieving headaches, muscle cramps, gout, and arthritis pain. Terra cotta lamp rings, clay pots and candle diffusers are four passive ways to diffuse the scent of basil essential oil in small areas. Electric fan and electric heat diffusers are mechanical options that work well in larger spaces. Nebulizers may offer the highest aromatherapeutic benefit because the nebulizer breaks the oil down into smaller molecules as compared to the other diffusion methods; the smaller molecules are easier for the lungs to absorb. Essential oils are thought to be safe, but pregnant women should not use them without a doctor's consent. Some of these oils are toxic and should be kept out of the reach of children and pets. What is an Oil Conditioner? 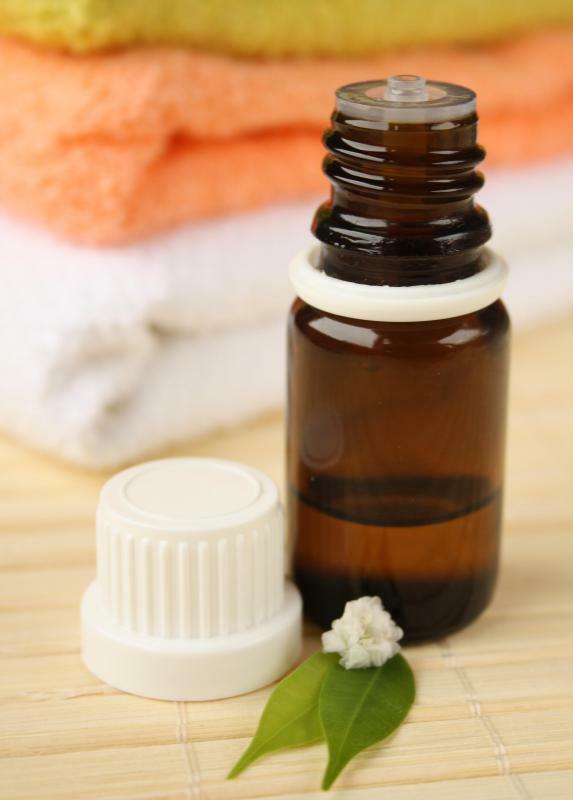 What is a Pure Essential Oil?